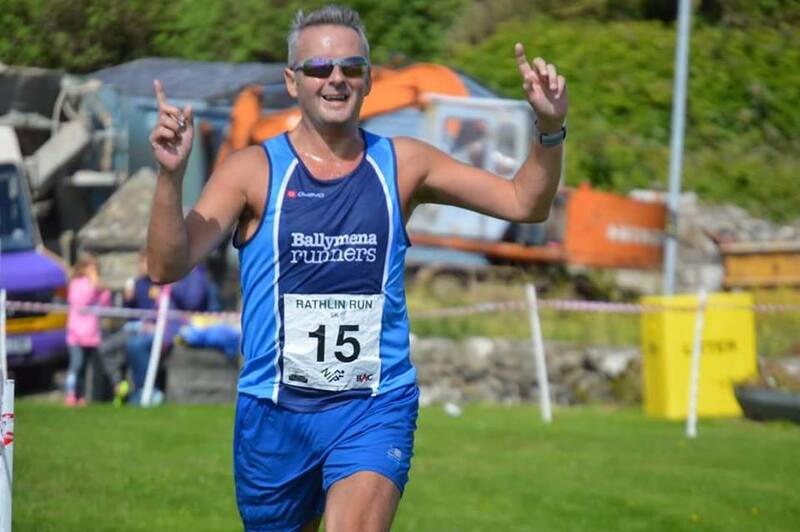 Peter shows everyone a clean pair of heels on Rathlin, large numbers Storm the Castle, a Friday night trip to the Port, club success in Bangor … and even action at the Olympic Park! The Rathlin Run is one of most eagerly anticipated, unique and challenging races on the local running calendar. Primarily a 10-mile race around the island, the day also includes an associated 5k and, as usual, Ballymena Runners were not found wanting at this popular event. Indeed, huge congratulations must go to Peter Fleming who powered his way to win the 5k in 21:11, some 12 seconds ahead of his nearest challenger! Rachael Galbraith also competed in the 5k, finishing 41st in a sub-30 time of 29:43 and fourth in her category. In the showpiece 10-mile race Vicki Dunn was first club runner over the line, running 1:29:46 to finish 84th while Naomi and Andrew Hutchinson both recorded 1:40:24 over the undulating course. 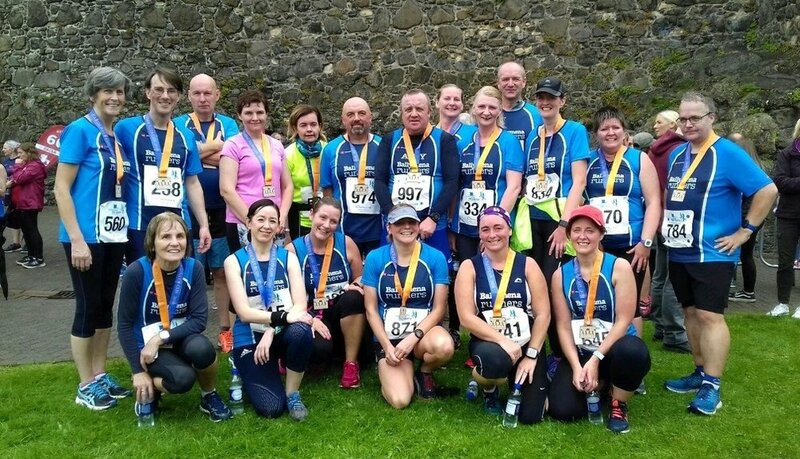 There was another large club turnout on Sunday in Carrickfergus when over 20 runners competed in the popular Storming The Castle 10k. First to finish from the club were Sinead Scullion and Scott Fleming who both crossed the line in 46:31, a new personal best for both athletes! Next home was Shelly Tomlin (49:34), Geoff McClean (52:12) and Roy White (53:31). 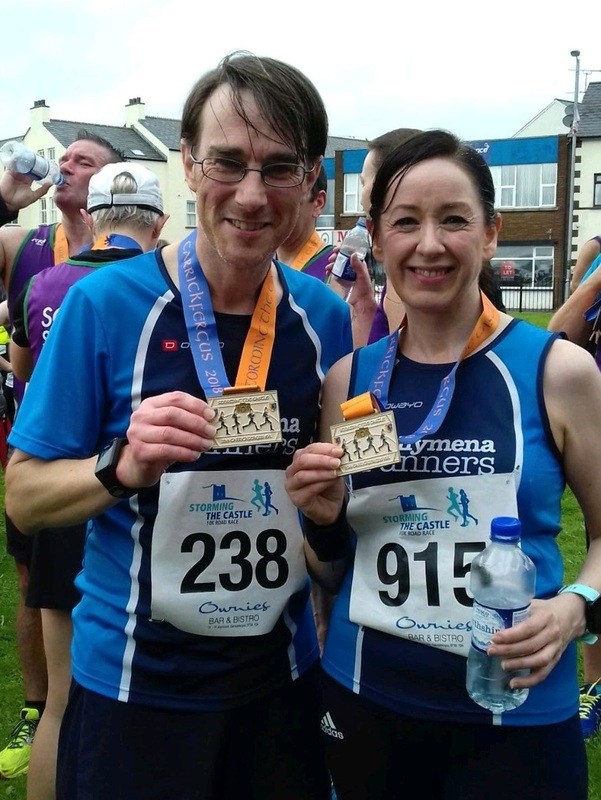 There were personal bests, too, for Iverene Carleton (1:02:21) and Bronagh McCormick (1:05:05) while, also representing the club were Kelly Courtney, Adrian Dodds, Martin Harris, David McClintock, Joan McClintock, Lynsey McKeown, Maria McKeown, Helena Moore, Elizabeth Speedy, Brigid Quinn, Sylvia Ringer, Roisin Watterson and Catherine White. A large turnout of over 20 Ballymena Runners made their way to the North Coast on Friday night for the annual Portrush 5-Mile Road Race. Jason Wilson was first home in club colours, finishing 8th overall in a superb sub-30 29:09, ahead of Daniel McClelland (26th; 32:18) and John McClelland (34th; 33:28). Judith Brown was first club lady to finish (34:26), picking up top spot in her age category too. Also representing the club were Tanya Agnew, Harry Armstrong, Alana Cameron, Lorraine Craig, Jennifer Dickson, Mary Duffin, Tim Hawksworth, John Hood, Sharon McClung, Maurice McGarry, David McKean, Heather McKelvey, Paschal O'Sullivan, Brigid Quinn, David Rainey, Elizabeth Speedy, Catherine Stewart, Jim Stewart and Sarah Woods. Geraldine Quigley was in London at the weekend to compete in the Lee Valley VeloPark 5k at the Olympic Park. On an undulating course, designed with cyclists in mind, Geraldine produced a storming performance (20:33) to finish second lady at the event, and first in her category. Six club members took the opportunity to compete on the track in an open event organised by North Down AC in Bangor on Tuesday. In perfect weather in the opening race of the evening, the mixed 3000m, Richard Agnew ran 10:19 to claim first place while Robert Meban finished 18th in 13:10. Race two, also over 3000m, saw Michael Bennett ran strongly to finish fourth (9:39) with Noel Connor (10:40) coming 16th. Sub 3-hour marathon man, James Turtle, opted for the 800m and duly won the mixed event in 2:19 and there was a top ten finish for Robert Meban (2:54) in his second outing of the evening. James' time was a personal best and placed him in the top 30 in the UK in his age category. In addition, club field events athlete Julian Kennedy competed in three events - the Shot, Discus and Javelin. Dessie's Run 10k is one of the most popular and longest established road races in the North West. The 2018 edition was held on Wednesday night along the usual course from Gransha to St. Columbs Park and back to the start. Two Ballymena Runners could be found amongst the 146-strong field. Paul Connolly performed well to record a time of 42:17 to finish 44th while John Donnelly was just a little ahead in 35th (40:50) claimed a new personal best over the distance to boot! Well done John.